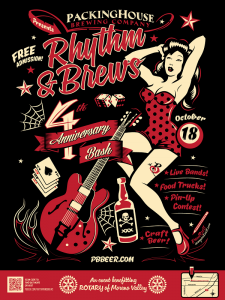 On Saturday (November 1), Ritual Brewing Co. in Redlands will be celebrating its second anniversary and has several special brews lined up for the event. In addition to the release of 2014 Big Deluxe Imperial Oat Stout, the brewery will have several variations on hand. 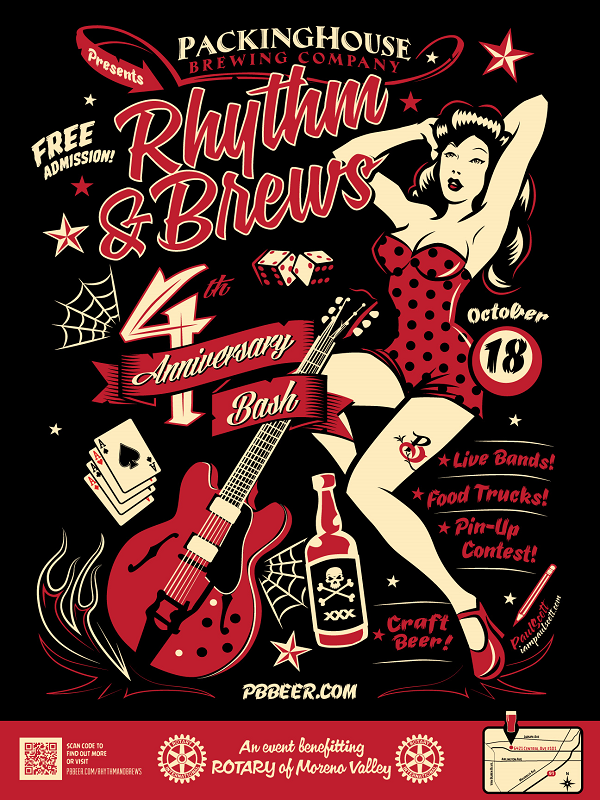 Attendees will have the chance to sample 2013 Big Deluxe and several barrel-aged versions, along with Big Deluxe brewed with vanilla, Parliament Chocolate, Stell Coffee and other flavors. Food will be available from Pappas Artisanal, Bacon Mania and à la minute. 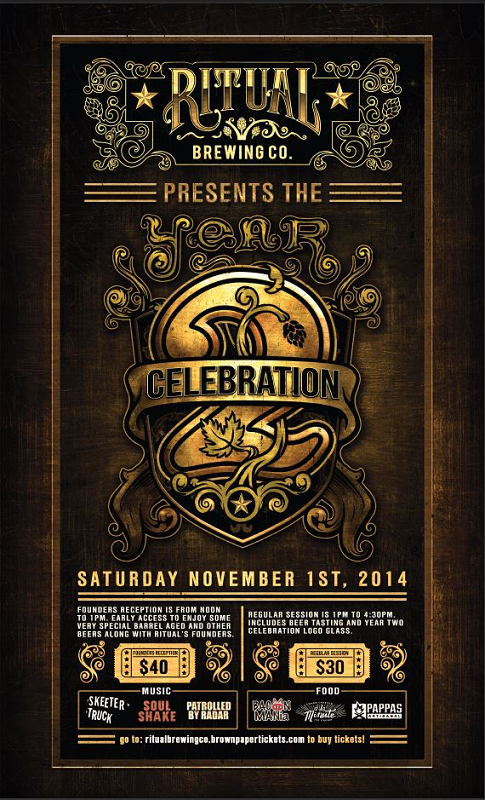 Riverside’s Packinghouse Brewing Company is celebrating its fourth anniversary tomorrow (October 18). The brewery is expecting to have 16 beers on tap, plus three live bands and five food vendors, including Where’s the Fire Gourmet Pizza, Brewcakes, Wild and Twisted Foods, 4Tino’s and Sonora Grill. 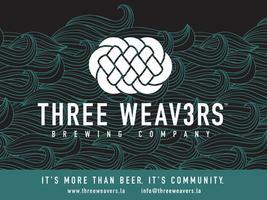 Three Weavers Brewing Co., will charge $25 at the door from 2 p.m. to 5 p.m. Saturday for a free pint glass and four pint, with proceeds benefiting the Los Angeles I Have A Dream Foundation. There’s an air of mystery about the event; the brewery isn’t saying what beers they will serve or what their hours are after Saturday. The brewery’s slogan is “it’s more than beer. It’s community,” but it would be nice to see them focus on the beer just a tiny bit. If anyone has more information, feel free to leave a comment. Sounds like a good deal given that tickets to the event are at least $45. When patrons book a room at a Burbank hotel via www.visitburbank.com for a staycation on the night of October 18, they simply send their confirmation number and the name of the hotel to info@visitburbank.com. Complimentary tickets are valued at $55 each, for a total of $110, and will be available at the check-in booth when they arrive at the Biergarten. 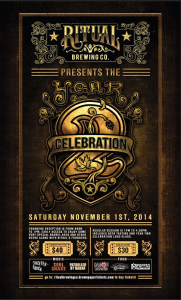 Check out the list of participating breweries and buy tickets here. 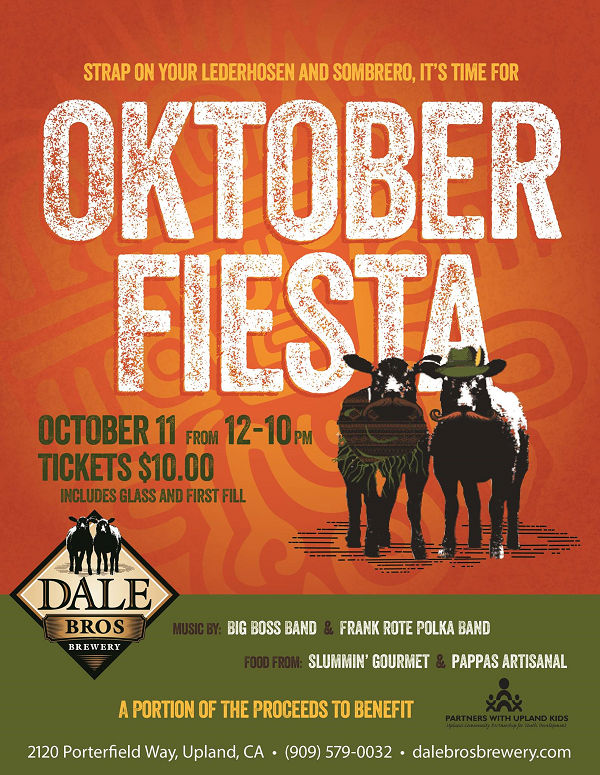 Upland’s Dale Bros. Brewery is hosting its annual Oktober Fiesta from noon to 10 p.m. today (October 11) at the brewery, 2120 Porterfield Way. 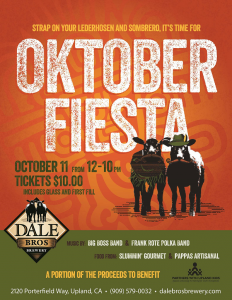 Tickets (available at the door) are $10 and include a Dale Bros. stein and your first fill. A portion of the proceeds will benefit Upland Community Partnership for Youth Development, an organization that provides educational and enriching after-school programs for at-risk kids. Hop Saint, as it’s being called, should arrive by early next year in an area that has a dearth of such watering holes. It will become the city’s second brewpub after the venerable Red Car Brewery and Restaurant, which itself is expanding after more than a decade in business. For more on the planned brewpub, see the story in the Torrance-based Daily Breeze here. Ontario’s Chino Valley Brewery has closed. You can exhale…it’s only temporary. After the brewery’s landlord didn’t renew its lease a couple of weeks back, the owners began the search for a new location. It’s still Oktoberfest season, which means there are events this weekend, including one Saturday (October 4) in Corona. 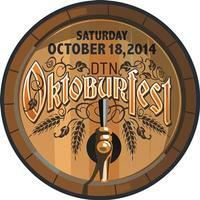 Taste of Brew’s inaugural Oktoberfest is scheduled from noon to 4 p.m. at Crossroads Riverview Park, 14600 Baron Drive. 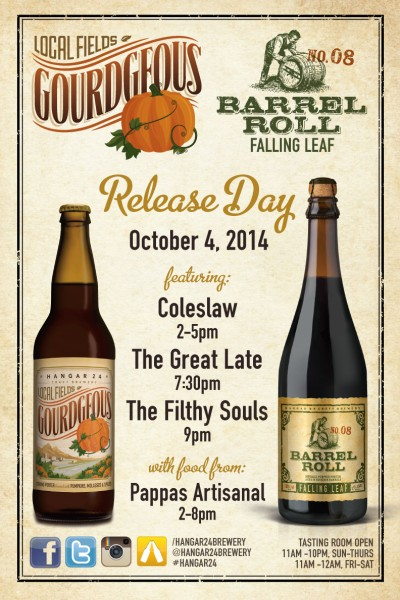 Saturday (October 4) is going to be a busy day at Redlands’ Hangar 24 Craft Brewery. Not only is it the release day for its seasonal Local Fields beer, Gourdgeous, but the brewery is also releasing its newest Barrel Roll series beer, Falling Leaf ($20 for a 750ml bottle), which just happens to be Gourdgeous aged for a year in Bourbon barrels. But perhaps the biggest news is the launch of the Barrel Roll Membership Club. Purchase a membership, and you’ll be treated to a box of barrel-aged and special release beers every three months for a year. At least one beer per quarter will be produced strictly for club members. One of the South Bay’s most inventive gastropubs – Hudson House in Redondo Beach — teams with one of the South Bay’s most creative breweries — Smog City Brewing — for a Oct. 13 beer dinner. Pouring: Makeout Session, L.A. Saison, Coffee Porter, California Love, and Smoked Smaug Lager.